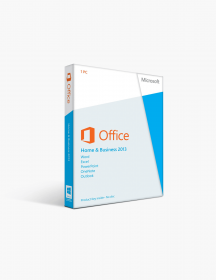 You're reviewing: Microsoft Office 2013 Home and Student 1 Pc License. Whether you are a student, a working professional or a homemaker, we all need to do things faster, better and smarter. With the Microsoft Office 2013 Home and Student suite, you can accomplish more with ease. From taking notes to making awesome powerpoint presentations and storing your stuff on cloud, the Microsoft Office 2013 Home and Student is a great tool that gives you the endless power and possibility of Microsoft Word, Excel, PowerPoint and OneNote in one single package. From organizing and creating to modifying and publishing, this software suite does it all! All Round Productivity – As with previous versions, Microsoft has yet again delivered a winning combination of ease of use, functionality and simplicity all rolled into its Microsoft Office 2013 Home and Student suite. Now you can manage everyday tasks like writing documents, creating presentations and migrating your data to cloud servers in a better and faster way possible. 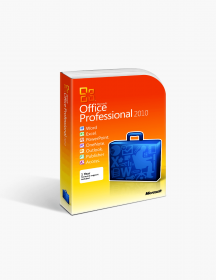 Microsoft Office 2013 is a comprehensive software suite and thus is the first choice of millions of professionals, students and homemakers worldwide. A New Look – When it comes to delivering top quality software, Microsoft has been a global leader and they have reimagined the possibilities with the Microsoft Office 2013 by giving it an all new, revamped look which can churn out professional looking documents, spreadsheets and presentations with ease. Now you can achieve more in a hassle-free way with the Microsoft Office 2013 Home and Student suite. All Original – Be it at school or at work, you can achieve your maximum potential with the right software suite by your side. In the world of counterfeits and imitations, Microsoft has always been synonymous with 100% genuine products that deliver the maximum value for your money. Trust only the leader in computer technology and maximize your productivity with the Microsoft Office 2013 Home and Student software suite. Maximum Flexibility – A one time license and registration key will set you started on the path of a successful personal and professional path. You can edit, save and share your documents, sheets and presentations on the go and can even sync your files with the OneDrive cloud. So, do more and do it the way you want with the Microsoft Office Home 2013 Home and Student suite. A Lifetime of Possibilities - The Microsoft Office 2013 Home and Student comes with a lifetime license for 1 PC. Thus, with a straight licensed product valid for a lifetime, Microsoft has once again proved why they are the best in business when it comes to quality software solutions that offer value. 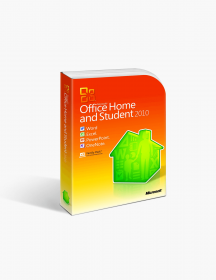 So, once you complete the setup and installation, you will be set for a lifetime worth of endless possibilities with the Microsoft Office 2013 Home and Student suite. Why Buy the Microsoft Office 2013 Home and Student Software Suite? The Microsoft Office Home and Student 2013 includes Microsoft Word, Microsoft Excel, Microsoft PowerPoint and Microsoft OneDrive. All these software and applications give you the ability to create, edit, share and sync your files seamlessly. It also offers multi-language support for maximum ease of use by a user. Students can greatly benefit from the advanced software suite of Microsoft Office 2013 Home and Student suite as it allows them to create and publish professional looking documents and presentations for a lasting impact. The Microsoft 2013 Home and Office suite is an affordable software suite that allows you to do many tasks in a quick way. It offers maximum applications and value for your money and comes with a lifelong license as well. Add to that Microsoft’s iconic trust and brand reputation and you already have a winner with the Office 2013 Home and Student software suite. Professionals working from home can also leverage the rich features and functions present in the Microsoft Office 2013 Home and Student suite to quickly create, publish, share and sync their files. From basic everyday tasks to advanced ones, this one does the job smoothly and easily for you. The Microsoft Office 2013 Home and Student suite is easy to install and quick to complete the registration process. Even if you are a beginner at computers, you can simply follow the DVD bundled in the box for any assistance or support. Additionally, Microsoft offers comprehensive, round-the-clock support for all its products and you can chat or speak with their support for any assistance. These are minimum system requirements for installing Microsoft Office 2013 Home and Student 1 Pc License. CAD$79.00 | In Stock Want it Now? Order and receive your download instantly.